On his first show of the year, with the gusto of a handsomer, actually justified Gavrilo Princip, Tucker Carlson threw a rhetorical bomb into right-wing discussion circles. Tucker lambasted conservatives for decades of “market worship” at the expense of family values. It was a surprisingly progressive message from America’s most popular conservative host, and sparked fierce debate on the right. David French, prominent National Review writer and almost 2016 presidential candidate, issued the fiercest rebuttal, arguing that conservatives should reject Tucker’s so-called “victimhood populism.” French’s column was well thought-out, principled, and sincere. However, it also lacked a connection with reality. Each point French musters in defense of his ideology flies in the face of what America actually looks like today. First, French disputes Carlson’s claims that rapidly vanishing manufacturing jobs have gutted the American middle class. French calls it a falsehood that manufacturing has “disappeared over a course of a generation,” citing a CNBC article that notes 2018 saw unusual growth in manufacturing jobs. That doesn’t support French’s point. The exact same article notes that manufacturing once encompassed more than 30 percent of U.S. jobs, and today just modestly rebounded to 8.5 percent. What is a nearly 75 percent drop if not a collapse? Less terrible is not good. French’s argument is as tortured as those claiming a red wave would materialize in 2018 as Republicans improved their standing in polls to trail Democrats by 8 points instead of 12 (they lost by about 8). Second, French then denies that marriage has become a “luxury only the affluent can afford,” as Carlson suggests. Instead, he argues that “a healthy, faithful is the gateway to affluence.” That is also false. Affluence has become the gatekeeper to marriage. The St. Louis Fed found that married men make significantly more than do people of all other demographics. Some suggest that married men are simply more motivated to earn more, but the STL Fed found that marriage had no such effect—it was rather that only wealthier men got married. This held true for women as well. The modern phenomenon of only the wealthy and highly educated getting married (to each other), assortative mating, is well-documented. 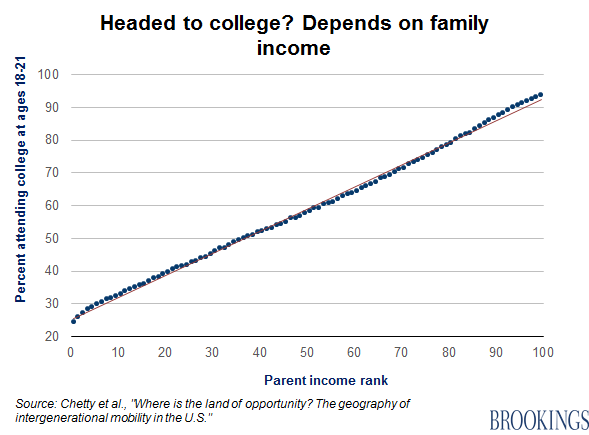 It is especially relevant when there’s almost a 1:1 correlation between a parent’s income and education and a child’s income and education. 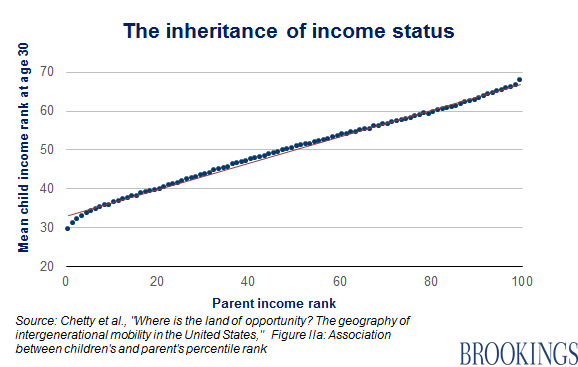 America increasingly looks like a caste society, where wealth, education, marriage, and family are narrowly inherited. But even in long-established caste societies, like India, the disadvantaged castes retain some basic human dignity (work, social cohesion, etc.). Even dalits still get marriages and jobs, and they kill themselves less than Americans do. In America, as French’s patron Bill Kristol bluntly admitted, lower castes are regarded as failures who deserve replacement by foreigners. Third, French returns to the traditional talking point of those trying to extirpate our already patchwork, frayed social safety net, the refrain that “the wealthy give so much to charity!” He cites various statistics about Americans being some of the generous and charitable donors in the world. There’s a problem with French’s defense of the elites: those generous charitable donors are actually the working-class Americans that market-worship conservatives, whose sentiments French defended, believe “deserve to die.” Working-class Americans proportionally give much more charity than elite Americans do. That’s not even getting into the nature of elite “charity,” which is almost entirely spent on things they use, such as theaters, museums, and the elite universities that their children attend (a privilege often enjoyed because admissions is aware of daddy’s “generosity”). Generous federal tax deductions add another asterisk to such “charity,” while costing more than all federal welfare spending. Of course, the working and middle class, who are already giving more to charity, rarely benefit from such deductions. The generous spirit displayed by Americans feeding and housing the needy in Dayton or Detroit (or, for that matter, the Congo) is not that of the elite Americans French defends, but rather the working-class Americans he so casually demeans. That is why as the American working and middle-class dies, so is American charity. Problem is, that America is vanishing, if not gone already. Almost every single study of income mobility finds that America lags far behind other industrialized nations. Even in geographic mobility, where America historically has led, America has fallen behind much of even Western Europe. Denmark scores nearly first on both, and while market-worship conservatives (and Bernie Sanders) might caricature it as a socialist state, the country’s government has mostly been controlled by conservative nationalists since 2001. This brings us to French’s conclusion, that populists “accurately identify” a “host of cultural [and] political maladies,” but these are not “wounds that public policy can heal.” The problem is French neglects the cause of these maladies: public policy! French acknowledges this possibility when he cites supposedly “destructive welfare policies” as a cause. The role of public policy should be blatantly obvious to anyone who realizes that different countries with different governments are having different experiences around the world (some better, some worse). As a result, this is absolutely a “tale of what [elites] are doing to” America. Who sets bad government policies, if not elites? Ordinary people have almost no influence in American public policy. One study found that federal policymakers are utterly non-responsive to political preferences outside that of the top 10 percent, that is, the donor class. This donor class of Silicon Valley CEOs, vulture financiers, defense contractors, and GS-14 bureaucrats, regardless of political party, has a distinct political agenda that can be broadly defined as socially liberal and fiscally conservative. They support the pro-open borders and anti-police activists Carlson mocks, but also dislike the social safety net and unions almost as much as French does. In American politics, these are the only people who matter. Not normal people, who only matter when they “break norms,” whether by storming the ballot boxes in red hats or the capital in yellow vests. The agony of modern “American carnage” has absolutely been a story of what elites have been doing to their victims. The traditional left-wing tale about “money in politics” is actually not radical enough, because it implies the system can be fixed with one law (campaign finance reform). Studies find political spending doesn’t really affect most electoral outcomes. After all, Donald Trump didn’t do any serious fundraising outside of hat sales, and even then funneled the proceeds into making more hats. In Real America, wages are stagnant, life expectancy is crashing, people are fleeing the workforce, families are crumbling, and trust in the institutions on top are at all time-lows. Instead, something else results in this imbalance. Simply put, elite Americans only live near each other in Super ZIPs, only marry each other (as described above), and thus only listen to each other. There is only one voice in DC beltway conservatism—not that of most Americans. Campaign finance may matter only because fundraising politicians spend hours each day telemarketing rich people that they could spend meeting other people. But if they could, would they? Kirk Jing is an attorney who lives in Los Angeles, California. A SF Bay Area native, he wrote for The Dartmouth Review in college before receiving a J.D. from Harvard Law School. His hobbies include avoiding Twitter, Reddit, and other hyper-political echo chambers. All views expressed here are his own.